This document outlines risks and controls common to 5.2.1 Process Accounts Payable in a risk control matrix (RCM) format. 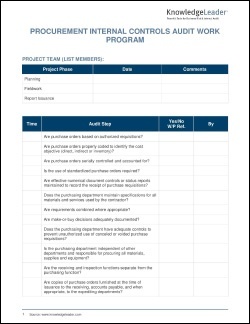 Sample questions to consider include: Are purchase orders based on authorized requisitions? Are purchase orders properly coded to identify the cost objective (direct, indirect or inventory)? Are purchase orders serially controlled and accounted for? Is the use of standardized purchase orders required? 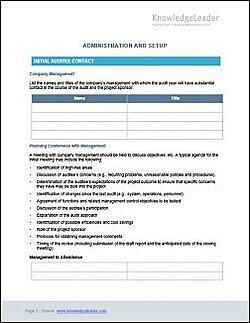 Are effective numerical document controls or status reports maintained to record the receipt of purchase requisitions? 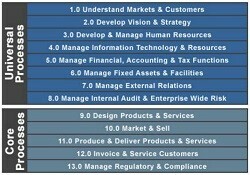 Does the purchasing department maintain specifications for all materials and services used by the contractor? Are requirements combined where appropriate? Are the receiving and inspection functions separate from the purchasing function?